Fall in Love with The Silverleaf by Lennar, a Brand New Luxury Home Located in Castle Pines Valley Where a Premier, Highly Sought After Location Meets Function and Upgrades Galore! A grand foyer leads into formal dining and the gourmet kitchen via your butler's pantry. 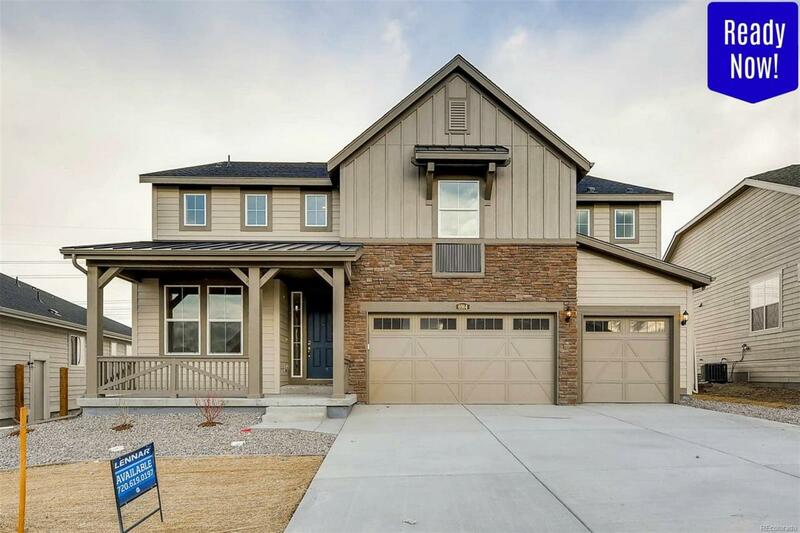 The heart of the home is the kitchen you've been dreaming of, with granite slab counters, upgraded cabinetry, custom backsplash, extensive hardwood floors, tons of cabinet and counter space, a sunny eat-in nook, and stainless appliances. The 2-story family room has soaring vaulted ceilings, lots of windows and light, and a cozy gas fireplace. The main floor features a spacious bedroom/study and full bath. Upstairs you'll find the most luxurious master suite in town, with a dramatic coffered ceiling and luxury bath with dual granite vanity. All 4 bedrooms upstairs have private bath access via Jack-N-Jill or en-suite. Spend Colorado's 360 days of sunshine on your extended covered back deck. Your dream home is waiting! Association Name Primary Metro District - Advance Hoa Buyer To Verify. Contract Addl Terms Taxes/Metro District Approx 1.26% Buyer Verify.